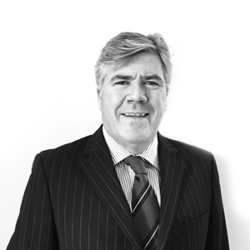 For over 28 years Andrew has been involved in the hospitality industry, gaining widespread operational and sales experience working and creating some of the World’s Finest Hotels. Before joining USL, Andrew was consulting with property owners and investors to improve the performances of their assets. Andrew has been General Manager and Director of a number of hotels and groups, including The Lygon Arms, Claridge’s, Sopwell House and Spa, the Westbury, Mayfair, The Scotsman, Edinburgh, the Montcalm, London, St David’s, Cardiff, Hotel de la Tremoille, Paris and The Savoy, Florence. Andrew joined the team in 2012 because of his long & successful track record of setting up operational hotels, working with the development through construction and delivering an operational hotel. Andrew now runs all operations as well as handling investor relations.